She said she was unphotogenic, that she rarely liked any pictures of her because she looked bad. That’s what she said, anyway. She even booked one of my longer packages, just to make sure something would turn out. What do you think of how she looks in these? She works as a mechanic – often as one of the guys, and I absolutely love how she brought the biggest wrench she could find home with her – and that she’d actually had to use it in real life before. Pretty awesome. If you really love your lingere, may I recommend our Inferno session? This lovely lady chose to wear it all in one all-encompassing day of lingere! She also chose our non-identifying image release as she works in a sensitive profession – but we have some fantastic images of her stunning eyes as well. 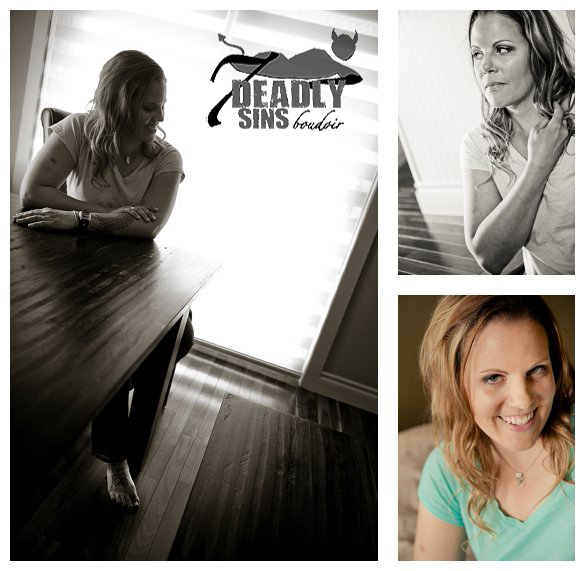 A great example of how a person doesn’t need lingere to take amazing boudoir photos, I had a fabulous time with this down-to-earth woman. Her choices of a tight t-shirt and an open blouse, some camouflage and zebra print underwear with killer black pumps, and tasteful nudes made her a gorgeous package of images. Allison participated in my all-time favourite stagette boudoir party. Working with Jean was a great pleasure! In her case, working in her lovely home with the cute inscription, “Always kiss me goodnight” on her wall, it was a comfortable and sweet time to laugh and enjoy each other’s company while I worked. In a unique and quite fun twist of events, her husband was in their home helping to care for their young sons, and he was a part of our consultation, and was open with me about the things he found most attractive about his wife – among them, her ears. “I just think her ears are super cute!” he told me. So I made sure to highlight them in a few photos just for him! Most people like to do their boudoir as a surprise, but remember that it can also be a collaborative event, a way of creating something even more personal. Remember that though I do have studio space available, I am also an expert at working inside your home for a more comfortable experience. This lovely lady and I had been trying to find the right time to work together for several months! I was super excited by how pumped she was to work with me, and how cool her ideas were in our consultation. 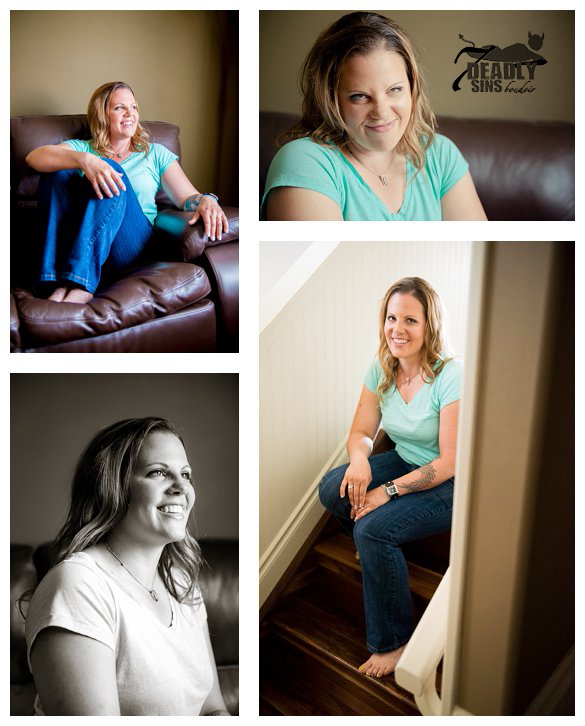 I really enjoyed our session and I am so glad that she’s allowed me to share it with you! I had the privilege of working with Candice for an extended shoot in one of the themed rooms in the famed Fantasyland Hotel – and she graciously allowed me to post any images I wanted – which was great, because seldom do I get to work in a room as grandiose as this one with so pretty a lady! The only hard thing was dealing with the sun-and-clouds day since the light in the room varied wildly from one moment to the next – but I worked with it and found some amazing moments. This is a wedding gift for her man, and I think he’s going to love it. 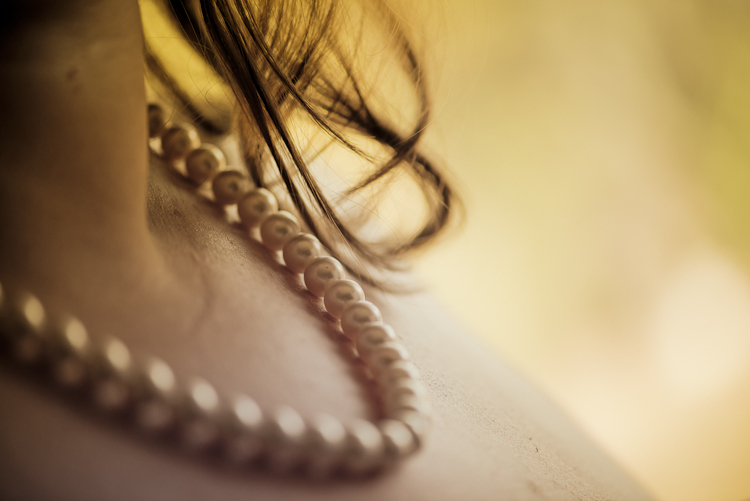 Are you considering boudoir as a gift for that special someone? I’d love to talk to you about it!